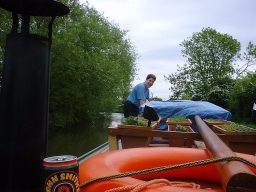 On Sunday 11 May 2003 Captain Flossie (that's Graham to you and me) kindly took me, Mike, David, Jessica and Chris for a trip along the Grand Union Canal, on his narrowboat. It's his home, so not much room for visitors, but we just squeezed in. 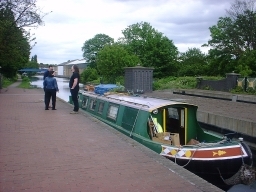 We went from Graham's mooring in Northolt up to the aqueduct over the A406 at Stonebridge Park. 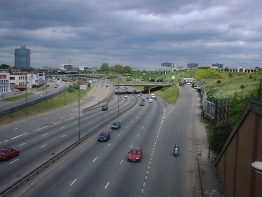 We also made a timelapse film of our trip, as we had with a drive on the A406 before. 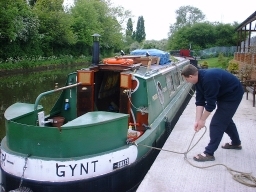 Graham and his home, Peer Gynt. 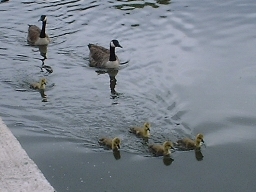 Some canada geece brought their ickle fluffy goslings to see us. 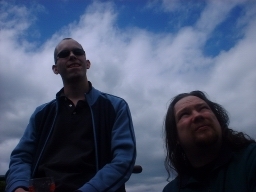 David clambers along the boat. Yes, that's my beer in the foreground. 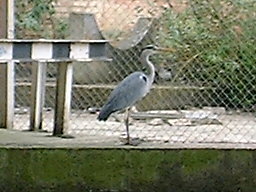 A heron. 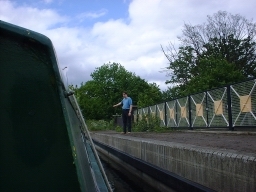 We saw about six of these, and loads of moorhens and coots on nests. 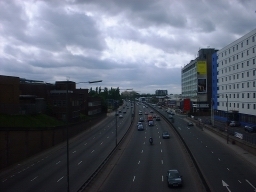 The view of the A406 from the aqueduct. David and Jessica talk to Mike next to Peer Gynt. 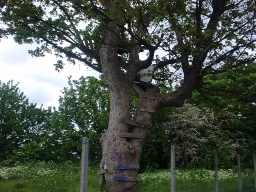 Someone had made a treehouse next to the bridge. 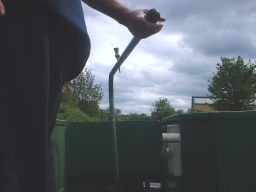 To steer a narrowboat, you move the big (green) lever. To make it go faster (or backwards) you move the white lever. Simple! 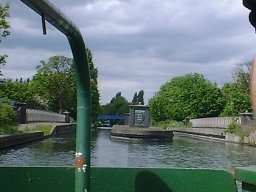 View of the A406 from the other side of the aqueduct. 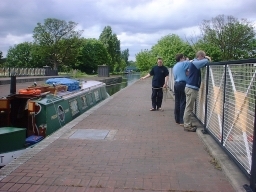 Graham keeps his house on a lead while the others look at the view. We didn't forget David... honest! 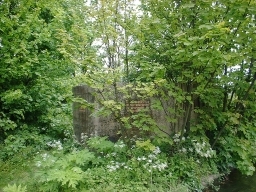 We saw a pillbox just by the bridge, hidden in trees. 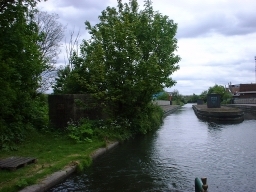 The pillbox location can be seen better here. 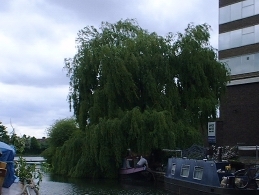 There were some gorgeous trees along the route including this weeping willow. 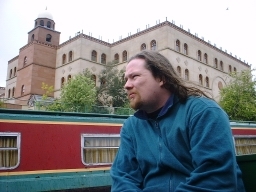 Mike, as we passed the residential boats and a mosque. 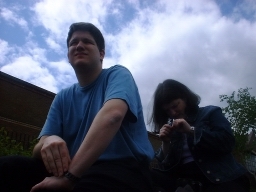 Chris also took some photos, which are here. I'm working on the videos right now!